Your body is designed to effectively respond to short bursts of stress when followed by many days of rest and relaxation. Sadly, for most of our patients, this is not their reality. Many have been dealing with the effects of long term stress for months or years. Too much stress can wreak havoc with your stress response system, called the Hypothalamic/Pituitary/Adrenal (HPA) Axis. HPA Axis dysfunction has been erroneously called “Adrenal Fatigue” or “Adrenal Exhaustion.” It is actually much more complicated than your adrenal glands getting tired and no longer producing the stress hormones called cortisol and DHEA. Low cortisol and DHEA levels may have little to do with the capacity of the adrenal glands to produce hormones. It could be related to chronic stress and most likely reflect HPA axis adaptation (down-regulation) which occurs to protect the body from excess cortisol. Low levels of DHEA can lead to other hormone shortages. DHEA is a precursor hormone; the raw material used to make other hormones in your body. Low levels of DHEA will start to deplete other hormones in your body, like estrogen and testosterone. Maintaining adrenal balance is critical to your mental health. Your stress response system includes three endocrine glands (hypothalamus, pituitary, and adrenal) and the sympathetic nervous system. These glands and your nervous system work together to regulate your body’s stress response – called the flight-or-fight response. This is needed to help you quickly respond to a threat when you are in eminent danger. Chronic stress, however, causes a continuous release of these hormones which can be damaging to the body. Under normal circumstances, cortisol is produced when needed and DHEA, another adrenal gland hormone, acts to counter balance it. It is important that your cortisol and DHEA ratio remain balanced. The brain “feel good” chemicals serotonin and Gamma-Aminobutyric Acid (GABA) also help to buffer your stress response and are important counterparts to the fight-or-flight chemicals epinephrine (adrenaline) and norepinephrine. Too much stress over time depletes these relaxing neurotransmitters. Maintaining cortisol to DHEA ratios as well as ample amounts of Serotonin and GABA, is vital to keeping a positive mental outlook. Testing your cortisol and DHEA levels can be very helpful in determining if your HPA axis is functioning properly and assessing what stage of HPA imbalance you are in. 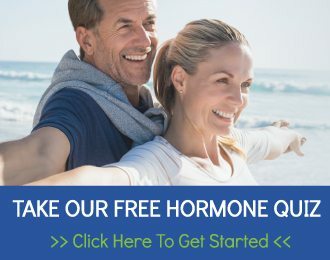 At Wise Woman Wellness in De Pere, WI, near Green Bay, we can order baseline Cortisol and DHEA testing to be done before your first visit so we can review the results with you at your visit. We assess your specific stage of HPA Dysfunction and key driving stressor(s) and determine specific actions for you to take to improve your symptoms and your overall health. 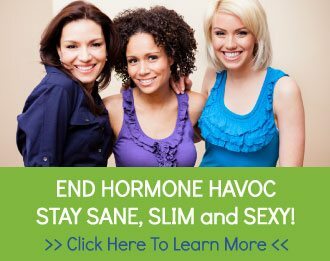 Please attend our End Hormone Havoc seminar to learn more about stress, its affects on the HPA axis, adrenal fatigue and stress treatment options.